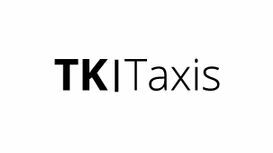 Airport Transfer for your holiday are important and at TK Taxis we understand that. We make sure you have a reliable, safe and prompt journey to the airport for your holiday. We provide airport transfers to all UK major airports at affordable prices. We provide 4/6/8 seater cars and minibuses for group holidays and we operate 24/7 (advance bookings required). We can pick you up from Loughborough and take you to the airport on time. Fill in the form below to request a callback to discuss your airport transfer.